For the second time in less than a year, the Basin Reserve was witness to an astounding fightback by a tenacious New Zealand side. Finding themselves in another backs-to-the-wall situation, the Black Caps produced one of the best performances in their history to win the series against Sri Lanka. Last February, captain Brendon McCullum and wicketkeeper Bradley-John Watling had combined to add a record 352 runs for the sixth wicket to guide New Zealand – who were staring at certain defeat – to a scarcely believable draw against India, a result which sealed the series in their favour. In honour of this feat, a plaque was laid at the Basin Reserve on 2nd January this year. Little did they know that the record would be bettered just four days later at the same venue. Against Sri Lanka, New Zealand were in a very similar situation to the one they faced against India. Just like last year, they were inserted on a green-top. After getting dismissed for a below-par 221, their fast bowlers had Sri Lanka on the mat at 78/5. Kumar Sangakkara then produced a glorious innings of 203 which gave his team a real chance to square the series. Trailing by 135 on the first innings, New Zealand slipped to 159/5 in the second session of the third day. Effectively they were five down for 24, with more than seven sessions still remaining. At this juncture, Watling – who is arguably the pluckiest Test cricketer in the world at the moment – joined Kane Williamson in the middle. Ever since he scored a hundred on Test debut four years ago, Williamson has been touted to be a future New Zealand legend. Just 24 years of age, he can possibly go on to become the country’s greatest ever batsman. This was a ripe scenario for him to live up to that billing. And he could not have asked for a better partner than Watling. Over the course of the next 111.3 overs, Williamson (242*) and Watling (142*) went on to instill a feeling of deja vu in the Wellington crowd. Not only did they break the record by churning out an unbeaten 365 for the sixth wicket, but they also scored the runs at a pace good enough for McCullum to declare late on the fourth day. On the final day, the stunning turnaround was complete as the bowlers, led by the ever-improving off-spinner Mark Craig, secured a 193-run victory which will undoubtedly one of the sweetest experienced by New Zealand. It has been a rare dream run for New Zealand since the last one and a half years, a period during which they have won four and drawn two of the six series played. This team has the capability to better the feats of the class of the 1980s, when the side boasted of the likes of Richard Hadlee, Martin Crowe, John Wright and Ewen Chatfield. In 1985-86, New Zealand attained the peak of their cricketing prowess when they won back-to-back three-match series against Australia – a 2-1 victory away and a 1-0 success at home. New Zealand are scheduled to play home and away series against Australia in the 2015-16 season as well. On current form, it will be no surprise if they manage to emulate the feat of their countrymen achieved thirty years ago. Under McCullum, the team has discovered a zeal for the longest format seldom seen in recent times. Be it the memorable series win against India, the thumping series-levelling win against Pakistan in the UAE or the whitewash of Sri Lanka, the Black Caps have shown great resilience in bouncing back from sticky situations. 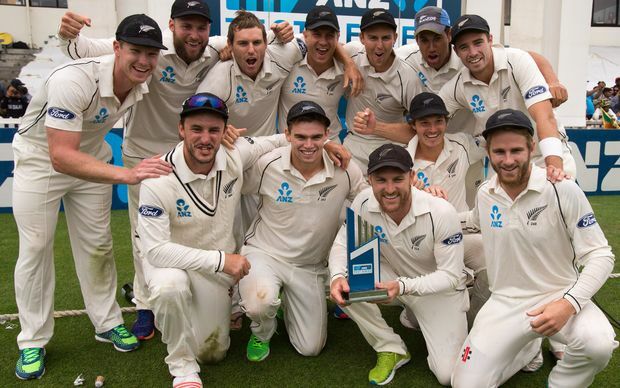 Never before had New Zealand recorded five Test match wins in a calendar year before they did it in 2014. In that year alone, they bettered the national record for the highest team total twice, first scoring 680/8 against India at Wellington and then surpassing it with 690 against Pakistan at Sharjah later in the year. Players like Craig, Tom Latham and James Neesham have eased into Test cricket with weighty performances. The batting is no longer dependent on Ross Taylor – the brilliance of McCullum and the consistency of Williamson has made the middle-order stronger than ever before. In January 2013, discord in the team coupled with poor displays on the field had left New Zealand reeling at the eighth position in the Test rankings. The lowest point came against South Africa at Cape Town where they were shot for 45 in the first innings. The first signs of renaissance came when they held England to a 0-0 draw at home a couple of months later. The win against India last year confirmed that they were indeed becoming a force to reckon with, and today, the massive improvement is testified by the jump to the fifth spot in the rankings. Only five points now separate the Black Caps and third-placed England. Besides the initiative shown by the batsmen, another chief factor in New Zealand’s recent surge has been the presence of a world-class pace battery. Tim Southee and Trent Boult are arguably New Zealand’s most formidable pair of fast bowlers ever, and their propensity to generate appreciable swing makes them dangerous both at home and overseas. Neil Wagner and Doug Bracewell – star of the famous Hobart win in 2011-12 – add great variety to the attack. And we have not even mentioned the exciting trio of limited-overs pacemen, namely Mitchell McClenaghan, Matt Henry and Adam Milne. It is heartening to see the current state of New Zealand’s Test team and also the way they go about their business in an unassuming manner. In ODI cricket too, they have put together an efficient side which, as co-hosts, has a wonderful chance to create history by winning the World Cup for the first time this year. 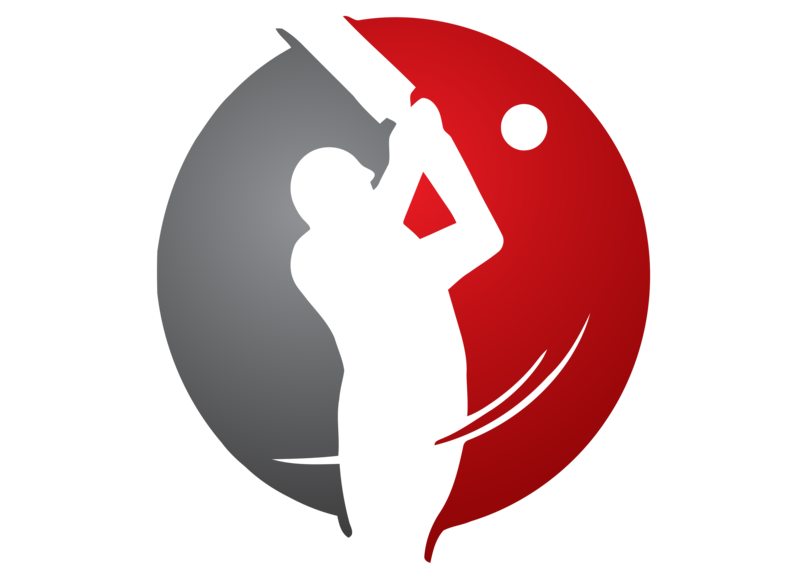 The public has begun to warm up to the Black Caps due to their Test performances, but a World Cup win can take the interest in the game to another level altogether. For a sport which has always been overshadowed by the mass appeal of rugby union, cricket in New Zealand has historically had to be content with a limited player pool. Hence, the relative riches at present are a strong indication that things can only get better from here on. Credit needs to be given to head coach Mike Hesson and bowling coach Shane Bond for transforming the side into a resourceful unit. The gumption New Zealand have shown of late and the meaningful contributions by all the team members at various times is evidence of the cohesiveness and camaraderie in the Black Caps camp. For the benefit of international cricket, it would be great if New Zealand go further up the ladder and become a world-beating force in the next few years. And if the Wellington victory is anything to go by, the best days in New Zealand’s cricket history may just be around the corner.